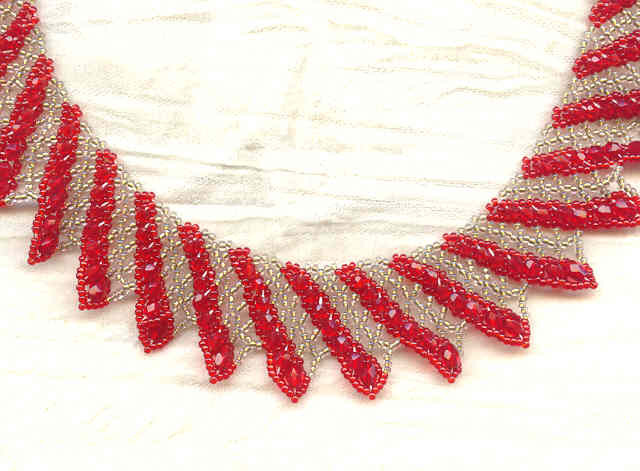 This utterly gorgeous beaded collar is made using a Russian netting stitch to form deep red and old gold coloured Japanese seed beads into a glittering web of colour. 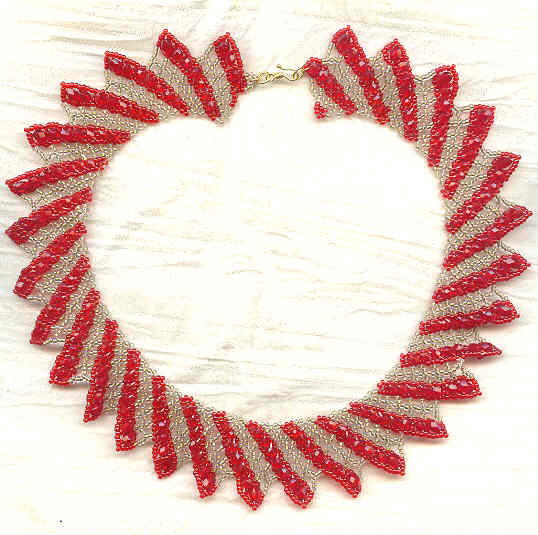 The red areas are further enhanced by the addition of matching Czech firepolish crystal beads in various shapes and sizes. The result looks like something that would have been worn to court by a particularly wealthy and stylish lady of the Renaissance. 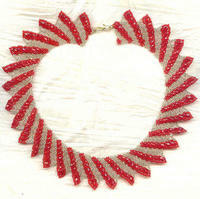 It's about 1-1/4" at its widest and roughly 16" long, closing with a charming 14 kt gold fill hook set.